Wiplash occurs when the head and neck are whipped from back to front. 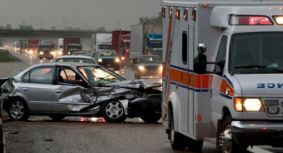 It is a common injury for people involved in car accidents. Whiplash can also occur while playing contact sports, or from trauma, physical abuse, assault, or falling. Dr. Rob Cartwright in Fairfield can help your body heal after experiencing whiplash. After an initial assessment, examination and x-rays, Dr. Rob will be able to determine your best plan of care. Each adjustment you receive will release the pressure off the discs and nerves as the spine is returned to its proper alignment. The sooner you start treatment the less change you have of developing a long-term problem. If you have been in a car accident or have experienced an injury involving your head and neck, call us today to schedule an appointment.